Well-known chief revenue officer David Roddick will also exit, after 4.5 years in the role, as well as chief marketing officer Michaela Chan. Tyquin has more than 15 years expereince in out of home and Roddick has more than seven years. The new team at the helm of Ooh!Media includes David Scribner as CCO who will be responsible for sales, marketing and data and insight. Scribner was previously at Virgin Australia before joining the Ooh!Media team in September. Junkee founder and CEO Neil Ackland will remain head of the youth-publishing brand and take on the role of chief content and creative officer. He is responsible for Junkee, online publications and Ooh! 's creative development. Noel Cook takes the chief commercial and operations officer role and Robbie Dery becomes chief commercial and product officer. Other appointments include Sheila Lines as chief financial officer, Steve Reid as chief people and culture officer and Andy McQuarrie as chief technology officer. Tyquin, who led Adshel for close to two years, says the experience was a “privilege”. “There is no other medium that has better prospects or more opportunities than out of home,” he says. Ooh!Media acquired AdShel in October after getting the greenlight from the Australia Competition and Consumer Affairs Commission, which also approved the merger of JCDecaux and APN Outdoor. Ooh!Media CEO Brendon Cook says the new structure centres on serving all of the media company's customers. “They will be supported by an equally talented senior leadership team which we are in the process of finalizing. The senior leadership team will support the executive leadership team in the execution of Ooh!’s strategy to grow the overall market whilst maintaining our market leadership. “The executive leadership team brings together talented leaders who will drive the next chapter of oOh!media as a scaled major Out of Home and online company,” Cook said. 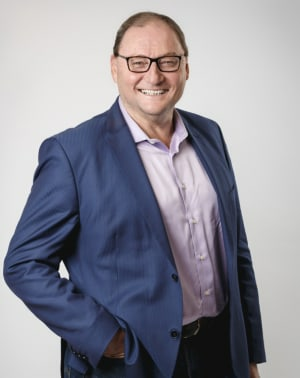 Adshel boss Mike Tyquin will depart the business following the appointment of a new executive leadership team set to take the post-acquisition business forward.